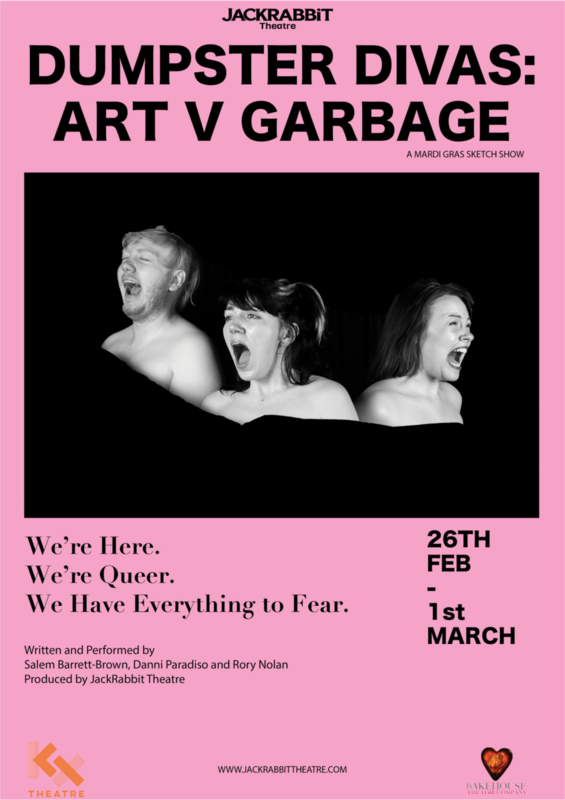 Shevvi Barret-Brown, Danni Paradiso and Rory Nolan are Dumpster Divas, cosmos-travelling dumpster-diving goblins who survive on absurd sketch comedy. What is death? Does the void love me back? What does it mean to be truly caffeinated? Am I a real clown yet? These are the questions we'll be answering in Art Vs Garbage at KXT as part of Hi-Jacked Rabbit.